It is only safe and good practice to NOT run on a training night if you are returning from injury or sickness. Building fitness and condition should be taken at a steady pace, and the training nights may not always offer the best format/environment by which to do so. Please contact either of the Club Captains for advice on how best to do this. Meet at Newmarket Leisure Centre on Tuesdays and Thursdays at 6.20pm. The following training plans show all options available on any given training night. You are free to choose whatever option suits your training plan or quite simply, how you may feel on a given night! We try and offer something for everyone- however if you feel there is something missing, please let us know. For road running there are threshold blocks that you may choose to take part in to add another dimension to your run. This will be explained by the person leading your group, and is purely voluntary. The following is a list of the various summer routes (SR) to correspond with the training schedule above. 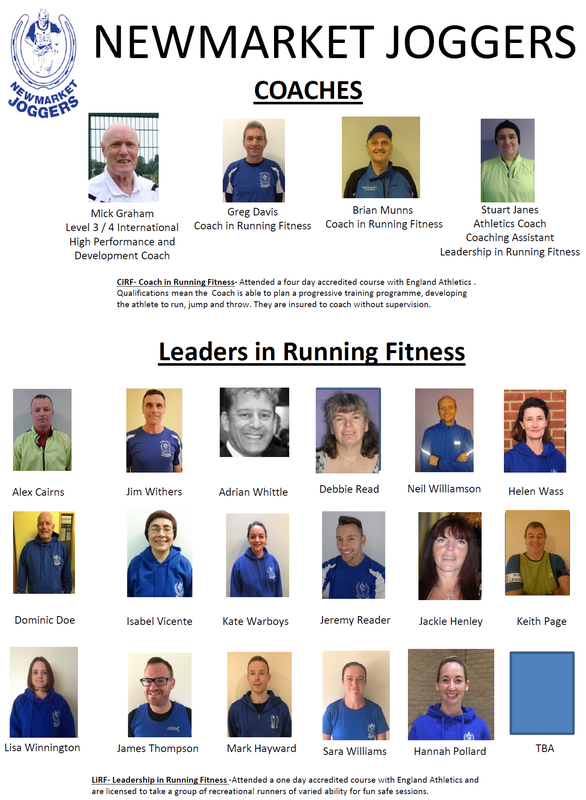 If you consider you are not a beginner, please complete the online form on the home page of this website, indicating how best sums up your running ability before attending a session. We will then be in touch to advise which session and what group might be the best one to try. We kindly ask that you do not turn up without completing this and having a conversation with us first. Each meet point to be decided on the evening depending on the training groups/weather conditions. During the winter runs and darker evenings ALL runners must wear Hi-Vis vests or jackets.